Given the complexity of some wi-fi network passwords combined with the general infrequency of entering them and that they’re typically saved on use, it’s not terribly unusual to forget what a specific routers wireless password is. Fortunately, if you’re on a Mac, there are a few ways to go about finding those lost or forgotten wi-fi router login details. Perhaps the easiest method is recovering forgotten wireless passwords with KeyChain Access in Mac OS X, but if you’re an advanced Mac user you may wish to retrieve the same data from the command line, and that’s what we’re going to demonstrate here. 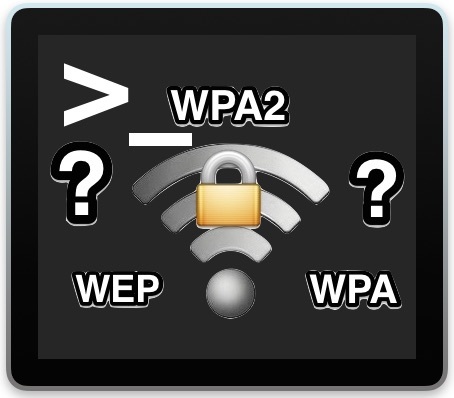 You will need to know the router name of the wi-fi router password you wish to retrieve. The rest is pretty straight forward. security find-generic-password -ga "ROUTERNAME" | grep "password:"
Replace “ROUTERNAME” with the exact name of the wireless router you want to retrieve the password for. You do not need to be connected to that network to recover the password for that network, you only need to have joined it once, and saved the password for it when you connected at that time. security find-generic-password -ga "YOUR-ROUTER" |grep "password:"
$ security find-generic-password -ga "YOUR-ROUTER" |grep "password:"
In this example, the password for ‘YOUR-ROUTER” is “osxdailysecretpassword”, minus the quotations. This command can be particularly helpful if you combine it with the ability to list all wireless networks a Mac has connected to before, particularly if you can’t remember the exact name or spelling of a specific router. $ security find-generic-password -ga "YOUR-ROUTER-NAME"
In this case, the wi-fi password for ‘Your-Router-Name’ with ‘password: “osxdaily”‘ is at the very bottom of the returned command. As mentioned already, you can find the same wi-fi login details from KeyChain Access tool in OS X, and you don’t even need to be connected to the wi-fi network you are retrieving the password for, which is extremely helpful for those times you get a phone call from a friend or family member asking “hey what’s the password for the router at so-and-so house” (maybe I’m the only one who gets those calls). Whether you go the command line route as described here, which is ultimately just a terminal approach to the keychain anyway, or through the more user friendly KeyChain Access application, is up to you. Thanks to LifeHacker for pointing out this great trick, we cleaned it up a bit with grep but for PC users, Lifehacker goes further to demonstrate how to perform the same wi-fi router password finding from a Windows PC too, which could be undoubtedly helpful to many users, based primarily on Macs or otherwise. Brilliant, thanks for finding a simpler version! You can also find wi-fi passwords stored on iPhone or iPad if you have the device jb’d by using the Cydia package called “WiFi Passwords”. Hopefully this feature will come native to iOS, it would be handy! security: SecKeychainSearchCopyNext: The specified item could not be found in the keychain. I have the same problem, works if I use the Network name but not the Base Station (router) name. If you use the wifi network’s SSID then this tip should work. Just remember to use the SSID, not the name of the router as was implied. Works for me in OS X el captain Works quite well I am making a text file of the passwords now. Lol. Security. So if ever I give a Mac user “temporary” access to my network, I need to then change my network password lest they recover it from their mac. How monumentally broken is wireless security. Well no, not unless you gave them the admin password to go with it, or the wi-fi password. how odd… trying to troubleshoot my sister’s computer, she has lost her wifi password. it doesn’t show up at all in keychain, which i cannot explain…. so i tried this after testing it on my mac, where it worked. on my sister’s mac all we get is “> ” after hitting enter. any ideas? i see someone has commented with a slightly different command, we’ll try that next. thanks, great article!